Well this is nothing speical, just using some things learned in the last lesson.. (how to make trapezoidal photos.... anywho.. anyone interested, I highly recommend Jessica Sprague's online classes. Starting today (Monday, 11/23/09) she's offering 20% discount on everything on her website. Great time to sign up and start. I just purchased the next set of classes. I started with Up and Running with Photoshop Elements and now I'm going to start Now We're Rockin' with Photoshop. 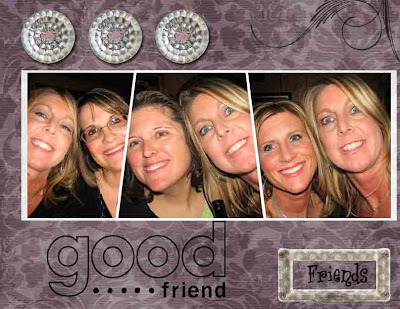 I also used some of my new Stampin Digital Studio Software elements on this layout that I designed in Photoshop.